Spell checking is an important last step to take before you send an email message. Spelling mistakes can be embarrassing and, depending on the nature of the mistake, even change the actual meaning of the words that you have typed. 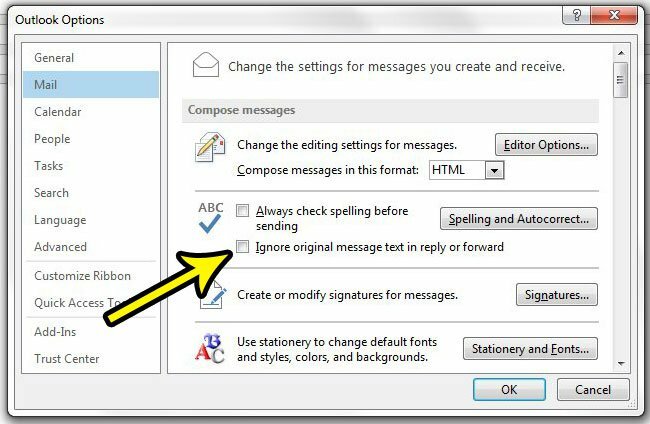 By default Outlook 2013 will only spell check the new message that you are typing when you are replying to a message or forwarding a message. But Outlook can also spell check the contents of the original or forwarded message as well, if you would like. Our tutorial below will show you where to find the setting in Outlook 2013 that will enable that feature. The steps in this article were performed in Microsoft Outlook 2013. 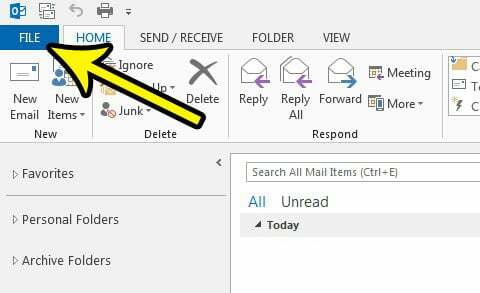 Following this guide will change a setting in the program whereby Outlook will start checking the original and forwarded messages in your emails for spelling mistakes as well. 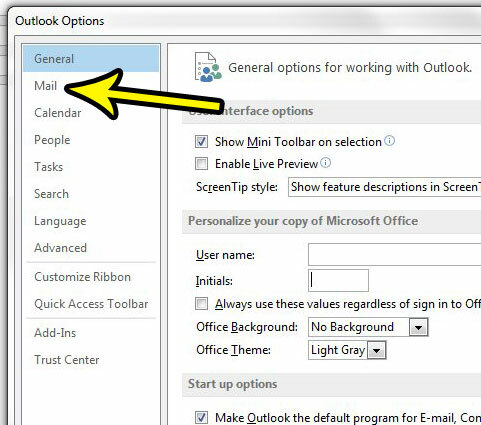 Step 4: Select the Mail tab at the left side of the Outlook Options window. Step 5: Click the box to the left of Ignore original message text in reply or forward to remove the check mark, then click the OK button at the bottom of the window. Do you find that you are constantly refreshing your inbox for new messages? 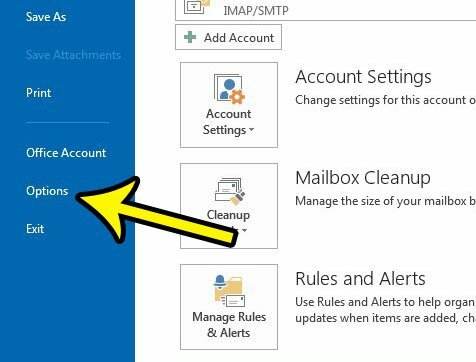 Learn how to change the send and receive settings in Outlook 2013 so that the program checks automatically more often so that you don’t need to keep doing it manually. Which Apps on My iPhone Have Access to My Photos?